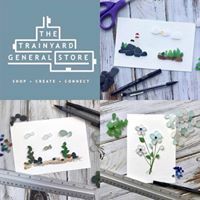 In this one hour workshop I'll teach you the techniques of sea glass art and guide you through the creation of your own unique 5x7 picture. We'll be creating this sweet plant and flower scene. The seaglass we will be using is all genuine and comes from near and far (NS and the UK). 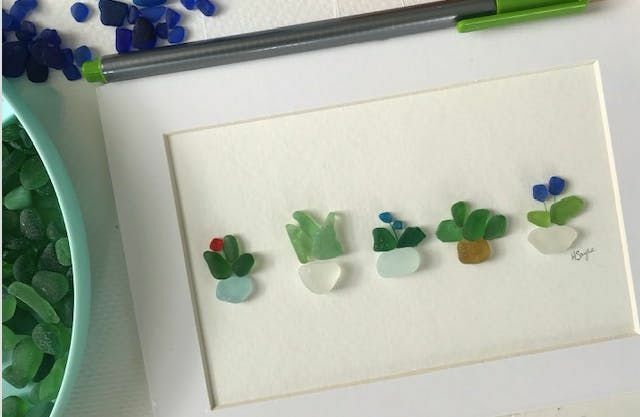 Whether you are brand new to seaglass art or have some prior experiene, this project will be lots of fun! 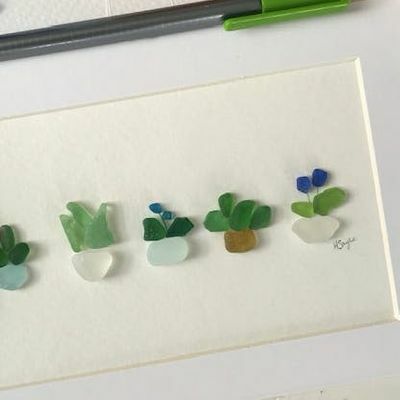 All materials including seaglass will be provided; however, if you have any special pieces that you would like to include in your picture, feel free to bring them along! Please note, frames are not included. Sorry, no refunds (but tickets are transferable to another participant).